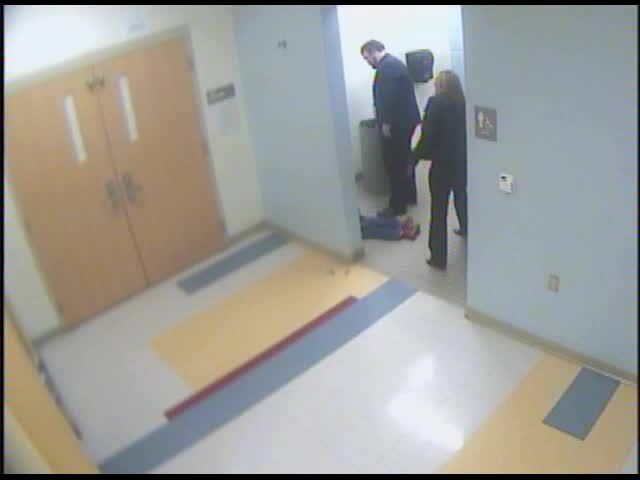 CINCINNATI -- Cincinnati school officials released a surveillance video Friday showing a disturbing incident involving an 8-year-old boy two days before he hanged himself. The video, from a hallway camera at Carson School, shows Gabriel Taye pulled to the ground by another student in a bathroom. His legs are visible in the bathroom doorway. Taye remains on the ground as other boys come and go from the bathroom, in some cases stepping over him. At one point, an adult is visible in the hallway, apparently unaware Taye is unconscious just a few feet away. The edited video supplied by Cincinnati Public Schools ends before an adult finds Taye. WCPO managers reviewed this video closely and discussed whether we should publish and air this video. We felt this video added to the public knowledge about what happened in this case. We believe parents and members of the community have the right to important information that helps them understand how safe students at local schools are. Taye's cause of death had originally been ruled suicide after he hanged himself at home on Jan. 26. However, his initial autopsy has been thrown out, according to the coroner's office. Hamilton County Coroner Lakshmi Sammarco has called for a police investigation into whether his death resulted from possible bullying at school and should be ruled a homicide. There is no timeline for when the new autopsy will be done. Before the video was released, different people who had seen it gave varying accounts of what happened. 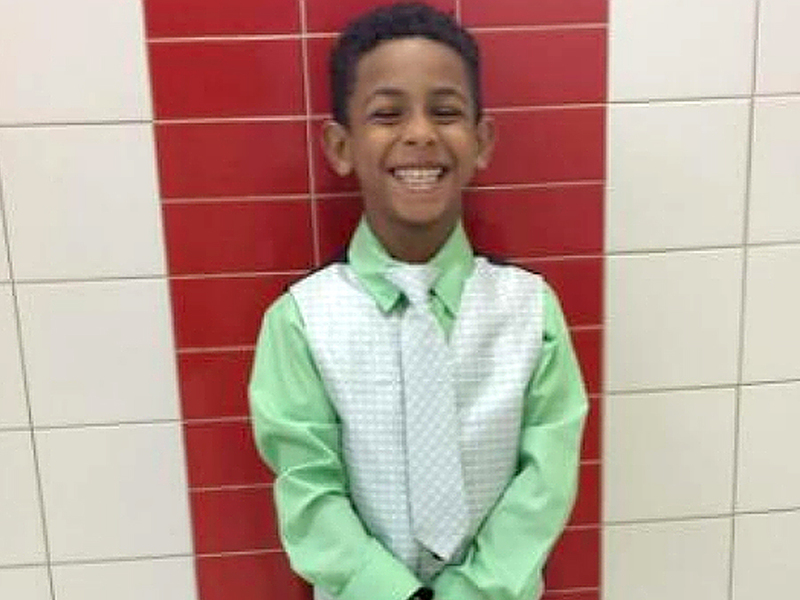 A police detective wrote in an email it appeared to show one boy picking on Taye and several other children, according to Carla Leader, an attorney for the Taye family. Taye reached out to shake the boy's hand and then was pulled to the ground and remained there, unconscious, for about seven-and-a-half minutes, she said. Leader said it was unclear if Taye hit his head on the wall or on the floor, but said the video shows the other students pointing, laughing and kicking Taye before school staff found and revived him. But Cincinnati Public Schools released a statement Thursday saying that the video did not show other students beating Gabriel. About a dozen people, mostly parents, showed up in front of Carson School Friday morning with signs to protest bullying. One of them, Kathryn Lundy, said she pulled her two children from the school two years ago because of bullying. "We all need to share our support as parents," she said. Another concerned parent, Carolyn Emery, said she has a 9-year-old daughter who attends Carson and that bullying is s chronic problem there. "My daughter cries every morning that she doesn't want to come to school," Emery said.